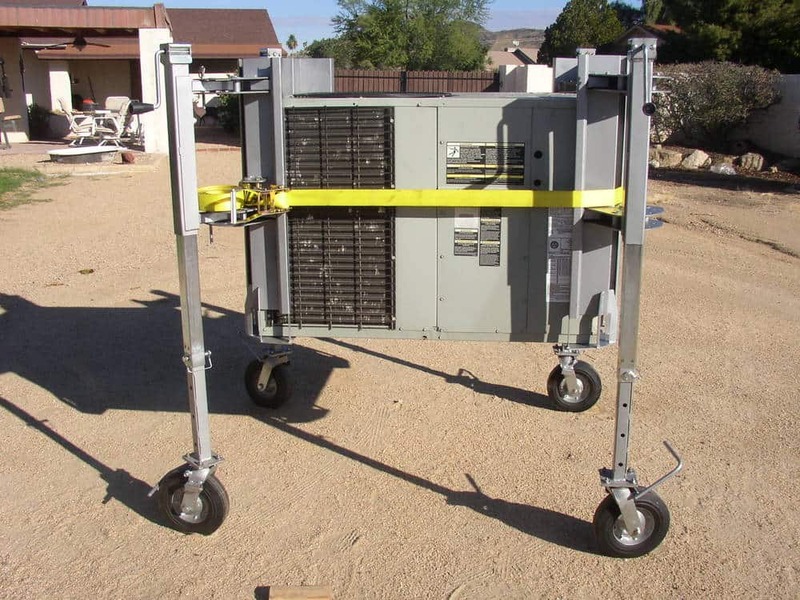 THIS ITEM WAS DESIGNED TO TRANSPORT AIR CONDITIONING EQUIPMENT (UP TO 1000 LBS ON A FLAT ROOF) ACROSS COMMERCIAL ROOFTOPS IN THE EVENT COMMERCIAL CRANE SERVICE CANNOT ACCESS THE DESIRED INSTALLATION SITE. IN ADDITION, IT CAN BE USED IN CONJUNCTION WITH A CRANE SERVICE TO LOCATE SEVERAL UNITS ON A MULTIPLE-UNIT APPLICATION SUCH AS A BUSINESS COMPLEX. TO ILLUSTRATE, THE UNITS CAN BE PLACED ON THE ROOFTOP AT A CENTRAL LOCATION BY THE CRANE, AND THEN THE DOLLY CAN BE USED TO POSITION EACH UNIT TO THE RESPECTIVE LOCATIONS THAT MAY BE OUT-OF-REACH OF THE CRANE. THIS CAN SIGNIFICANTLY REDUCE OVERALL CRANE EXPENSES. THE OBJECTIVE OF THIS DOLLY IS TO MINIMIZE THE NEED FOR COMMERCIAL CRANE SERVICE DURING UNIT REMOVAL AND INSTALLATION. 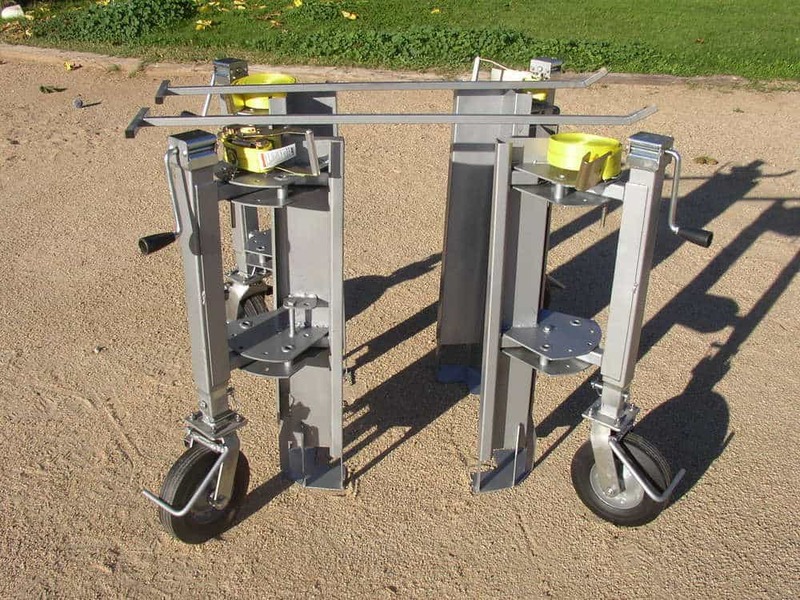 WITH THE A/C DOLLY YOU CAN ROLL THE UNIT OVER A 20" HIGH CURB WITH EASE. INSTALLING NEW UNIT ON THE ROOF CURBS UP TO 1000 LBS. 2.SET THE UNIT ON AT LEAST A 2x4" BLOCK. THE JACK AT THIS TIME. 5.3RD AND 4TH DOLLY ARE THE SAME. 13.WHEN IT IS LINED UP LOWER IT DOWN.